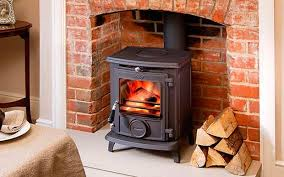 Ecofire Ireland can repair your thermal mass or standard stove, dealing with issues with the flues, seals, glass on the stove, the surrounds, ceramic tiles, etc. We also install stoves, insert or free-standing, and flues. Managing Director Vincent O’Dwyer has 25 years construction experience and 7 years’ experience in ceramic masonry stove design and builds, having trained in Austria and Sweden, and therefore takes into consideration not just the stove, but the fabric of the house in which it sits to effect a perfect repair or restoration. Ecofire Ireland repairs regular boilers and stoves too, with a swift, honest and skilful approach.